Rubber patch at back yoke. 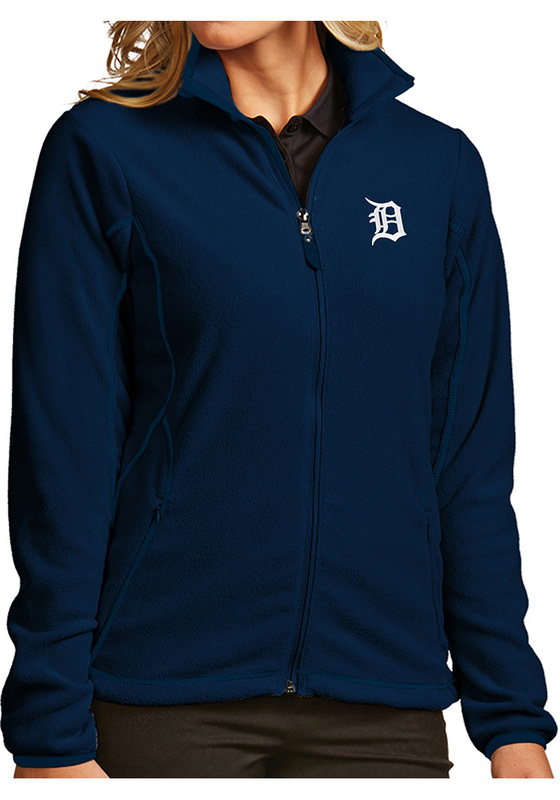 Keep the chill out with this Detroit Tigers Womens Navy Blue Ice Light Weight Jacket! Cheer on the Tigers in this Detroit Tigers Light Weight Jacket. With a fleece outerwear with embroidered team graphic on left chest, you won't want to be caught without this Light Weight Jacket on gameday.